One of the most sensitive parts of the body are the eyes. While they’re very delicate parts of our bodies, they can certainly sustain quite a bit of wear and tear. With our pet’s eyes, we need to be especially cautious because of everything that animals can be exposed to and how easily a quick exposure can turn into a serious infection. In order to best avoid these types of situations, it’s necessary to stay on top of the care and procedures that need to be done to keep your pet’s eyes clean and healthy. At Animal Eye Associates, we are lucky enough to provide pets with the care that they need to greatly reduce the chances of ever having a horrible infection that could lead to difficulties down the road. Today we’re going to cover some of the things that you should stay on top of in order to minimize any poor health with your pup’s eyes. One of the challenges that we see dog’s dealing with that we don’t have to is the hair that surrounds their eyes. This hair is something that they’re unable to control, but it’s something that we can take care of to prioritize the general health of their eyes. Trim this hair with blunt-nose scissors as needed. Doing so keeps your pet’s eyes much cleaner and can ultimately help them avoid getting an infection from the discharge and gunk that collects this close to their eye. This is an easy thing that all pet owners can do to even minimize the number of infections that pets get. One of the things that all dogs will experience, some breeds more than others, is the mucus build up at the corner of the eye. There isn’t really a way to minimize the production of this, but something that you can do is ensure that you stay on top of cleaning it so that there isn’t a build up. One of the best ways that you can remove the mucus from your dog’s eyes is with a damp towel. With some warm water to loosen it up, you can easily get the most of this gunk off of their eyes and leave them with clean eyes. There are also a variety of veterinary approved eyewashes that you can ask about when your dog comes in for an appointment. If you leave this on your pet’s eye, there is a good chance that bacteria can form in the mucus and wind up creating an infection because of it. Such a little thing can make such a big difference. 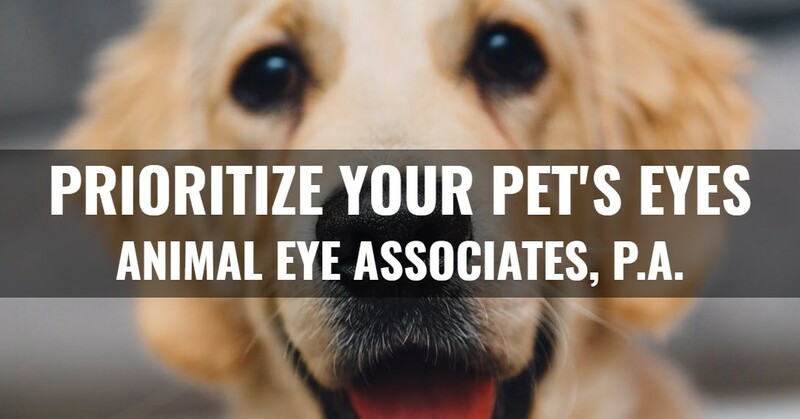 The same way that your eyes require routine checkups, so do your dogs. One of the absolute best things that you’re able to do is ensure that they are consistently going to the doctor for visits so that we can check their eyes for any developing issues, bacteria, or infections. 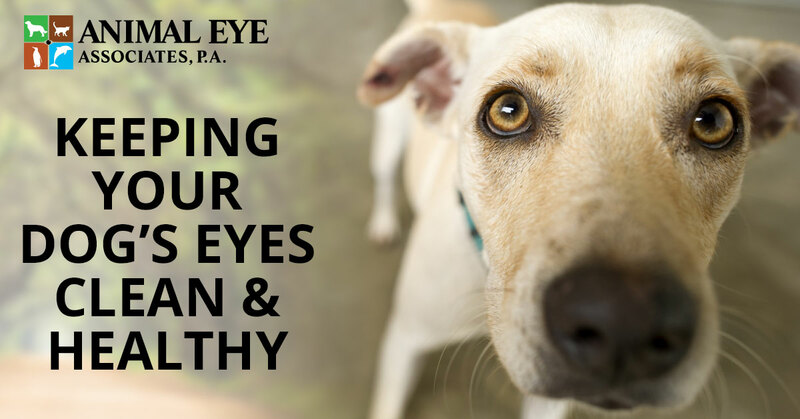 When you’re looking for a professional that can care for something as sensitive as the eyes of your pup, you know that you can trust in the team at Animal Eye Associates. Call our team today and we’ll help you schedule your pet’s next eye appointment.